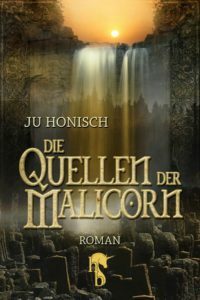 Not everyone may know this, but I wrote my first four books (Das Obsidianherz, Salzträume, Jenseits des Karussells und Schwingen aus Stein) in English and then translated them into German. Of course, I would have liked them to appear in English, but the way things went is trite and frustrating. The first time I tried to tackle the English-speaking market myself. I wrote to publishers, had myself “recommended” by friends of mine, tried to find an agent in the US and also in England. I cannot say that it was raining letters of refusal, because most of the people/companies I had contacted did not react at all. 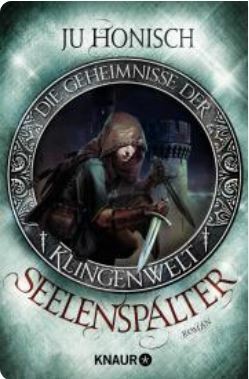 Finally, the books were published in German – by Feder & Schwert. Of the four books, two received an award. The publisher now tried to place the books on the English market. Perhaps the answers were less abrasive, as publishers might deal more politely with other publishers – the result remained the same. Now F&S thought about bringing the books to the English-speaking market itself. That was a wonderful idea. I really should have let them do that. But at this point, life in the guise of my agent intervened, feeling certain that they had far better opportunities to market the manuscripts abroad. What can I say? They were quite, quite wrong. The F&S option then no longer existed, and the other option via an English micro-press failed due to communication difficulties between the publisher and the agency. By now, my English manuscripts have been sitting on my computer for over ten years and I can hear them complain. That’s why I’m doing it myself now. The English manuscript of “Obsidian Hearts” is with the editor now to be checked for language. Next, I have to decide whether I want to use the gentleman’s services for the publication itself or if I want to bite my way through this self-publishing business that I never wanted to have to deal with. I will finance this first English project (Obsidian Hearts) from savings, in the vague hope that the investment will pay off. For a second (also third or fourth) volume I would perhaps try Patreon. But until then I still have a lot of time to decide. When the time comes, I’d like all my readers to contact their English friends and praise me. Nobody knows me in the English speaking countries. I start from scratch. Mrs. Melchior: You want to follow a star? A star? Shouldn’t stars be faster than you – on foot? Mr. Melchior: We have camels. Mrs. Melchior: Oh, and they are faster than stars? Hardly. Mr Melchior: This goes beyond your understanding, woman! Mrs. Melchior: Whenever you can’t think of a reasonable answer, this suddenly goes beyond my understanding. Beyond my understanding my foot! Be reasonable! Stars wander all across the sky in one night. Can your camel do that? Mr. Melchior: You don’t know anything about camels either. Mrs. Melchior: You don’t say! I run this caravanserai here – while you only look at the stars at night and sleep during the day. Melchior’s caravanserai it is called! And who does all the work? I do! Mrs. Kaspar [enters]: Now who has come up with this stupid idea again? Mrs. Melchior: Not me. You may be sure of that. Mrs. Kaspar: My oh so wise husband wants to follow a star. An effing star! Mrs. Melchior: So does mine. Mrs. Balthasar [enters]: An important child is born, he says. [points to her round belly]. That didn’t go unnoticed, I tell him. And what does he say? He is not talking about our child! Not our baby! Can anyone just be more important right now? Mrs. Melchior: Sit down, love. Mrs Kaspar: What a stupid idea! Mrs Melchior: Anybody for cookies? Mrs Balthasar: Yes, please. And would you have some pickled dates? Mrs Kaspar: He wants to pay homage, he says. He doesn’t know yet to whom, when or where, but he definitely wants to pay homage. Mrs. Balthasar: Mine too. Quite adamant about this homage thing. As if he couldn’t pay homage here, too. We have enough gods. And stars. Mrs. Kaspar: He wants to take presents with him! As if we had something to give away! Mrs. Balthasar: Mine too. I could not get him to see sense. You don’t even know to whom you want to give presents, I said. And what does he say? A little child! I beg you! A little child! We already have five, and soon the sixth will be born! Mrs Melchior: Mine said, a king. That means it can’t be ours. Since the last tax audit, my husband would not voluntarily pay anything to the king. Not even homage, if he can avoid it. Mrs Kaspar: Mine said that it is about the Prophesied One. Don’t read so much fantasy, I told him. In bad fantasy there is always a Prophesied One. Who prophesied the guy?, I asked him. He did not know. And what’s he prophesied for, I asked. He didn’t know either. Mrs. Balthasar: They don’t know anything. Mrs. Melchior: They want to go west. Now, the road to India would certainly be more lucrative. Normally you can’t them to move their lazy asses from their divans, and now they want to go west. That’s where the Romans are, I said. You do not want to meet them! Nobody voluntarily messes with the Romans! Military sponges. 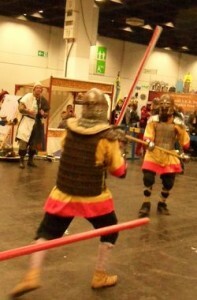 Mrs Kaspar: Mine wants to take his sword along. Mrs. Balthasar: Does he know how to wield it? Mrs Kaspar: When he took it off the wall, I first dusted it off. And he cut his finger. And whined loudly. Mrs. Melchior: Mine wanted to take gold, incense and myrrh! For a child?, I asked him. Wouldn’t it make more sense to give him a set of good nappies, something to wear and something to eat? He could take some date porridge preseve! Children like that! Gold! He must be off his mind. Mrs. Balthasar: They want to split it up. One brings gold, one myrrh, one incense. Mrs. Melchior:Well, it certainly couldn’t get any more expensive! He could take free vouchers for this caravanserai with him! The Prophesied One would then have something to look forward to when he grows up. Maybe he will like travelling. Mrs Kaspar: I had a terrible dream. Mrs. Melchior: Don’t you start with prophecies now! Mrs. Balthasar: What did you dream? Mrs. Kaspar: I dreamt that they had been kidnapped and caught in a golden shrine far, far northwest. Mrs. Melchior: With the barbarians? Mrs. Balthasar: Or with the Romans? Mrs Kaspar: I don’t know. Could be both. Mrs. Melchior: You really think our husbands will get a golden shrine? Will it be valuable? Mrs. Kaspar: Anyway, I will certainly not pay homage to them in Barbaria! 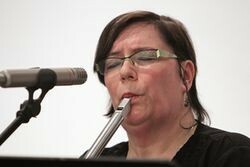 Mrs Melchior: We will have to organise this – if we cannot make them see sense. So: we’ll pack some sensible baby presents. And I put some of the men together as a protective posse. In a caravanserai there are always a few hardened would-be warriors looking for a job. We shall also tell them to avoid the Romans at all costs. And that goes for this Herod, too. You don’t hear anything good from him either. And we should make sure they don’t take anything along that the next band of robbers would not steal from them at the first oportunity. Mrs. Balthasar: Do you hear that? I think they’re riding off right now. Mrs. Melchior: Oh, dear. And without a plan or a map, I bet you. 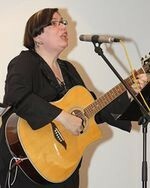 Mrs. Kaspar: And without a protection posse. Mrs. Melchior: Without joining a westbound caravan. 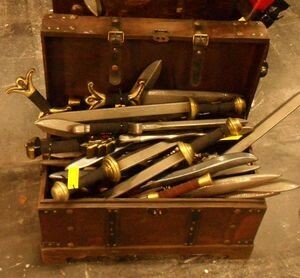 Mrs. Balthasar: It should surprise me if they had packed as much as a change of underwear. Mrs. Melchior: I’ll make some tea. Mrs. Melchior + Mrs. Kaspar + Mrs. Balthasar: Men! “What does Christmas mean?” asked Sven. “Father Christmas is coming” said the father without looking up from his cell phone. “No, Christ is born as a child,” Grandma said. “And which one of them is right, now?” asked Sven. “Then who is Santa?” Marie-Louise asked. She was only a little older than Sven but invariably thought she had to present her more detailed knowledge. “He’s called Satan,” corrected Grandma, whose view of the world was resolutely un-American. “Santa and Satan are not the same, despite the anagram,” corrected Father and began to look up the definitions on Wikipedia. “I’ll show you right away.” His clumsy fingers slid over the smartphone and he frowned as if he had to thread a rope through the eye of a needle. “But it is weird, isn’t it?” Maximilian-Alexander triumphed. Whenever Aunt Edeltraut said he should feel ashamed, it was an unmistakable sign that he had somehow – won. Father had just found Satan and started googling Asatru and Wicca. “I’ll get it in a second,” he said. Nobody believed him. “So what does Christmas mean now?” Sven asked impatiently. “And we shouldn’t forget the cowboys and the cheering wing-bearers either,” Maximilian-Alexander threw in. He had developed an unerring insdtinct for when a comment was particularly unsuitable. In fact, he had developed this kind of communication into an art form. “Trademark protection?” Uncle Eberhard asked. “Do you write Wicca with ck or with double k?” father asked. “Christmas has nothing to do with Coca-Cola,” Grandma disagreed. “With red noses. Maybe a political statement?” Uncle Eberhard sometimes sounded as if he should love to be Maximilian-Alexander once in a while. Aunt Edeltraut then usually looked as if she suffered from constipation. “You’re all stupid,” Marie-Louise complained. “And what is Christmas now?” Sven asked again, who would have preferred a simple sentence to an elaborate riddle. Sven’s mother came into the room and ushered two strangers in who looked around a little nervously. They carried full plastic bags as luggage and wore cheap Santa hats . They didn’t look particularly clean. The room went very quiet. “They have no one else, and it’s cold outside,” mother explained to a number of faces showing signs of complete non-comprehension. “I think you have not quite understood, my boy,” corrected Aunt Edeltraut, who had sat down again and now took another biscuit before it was eaten by someone undeserving. “Neither have you, Aunt Edeltraut, neither have you,” grinned Maximilian-Alexander. “And now we shall all sing a jolly Christmas carol,” Grandma said. The quiet time if the year was rarely as quiet as after such a request. Still, it was a very nice Christmas – even without the truck. I should be ashamed of myself. You had to go far too long without a blog of mine. I tended to be much more diligent there. But I seem to notice that the days are getting shorter. They used to be 24 hours long, but nowadays they seem to have gone down to some 17 hours per day. I’m lagging behind and eventually I shall find somebody else to blame. Anybody but me. 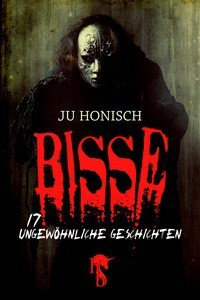 Right on time for last Halloween “BISSE” came out as an eBook at Hockebooks http://www.hockebooks.de/ebook/bisse. That made me very happy, because many years ago, these short stories signified the beginning of my literary career. They are evil, little ditties, and it helps to have some well-established black humor when reading them. Without the black humour you will just have to be nicely scared. That will also work quite well. 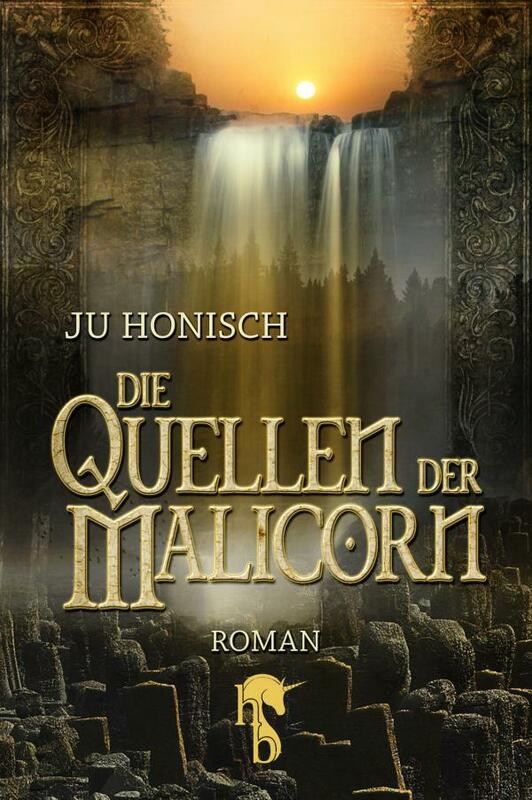 And last week, the same ebook publishing house published “Die Quellen der Malicorn” (Wells of the Malicorn) http://www.hockebooks.de/ebook/die-quellen-der-malicorn, which had come out three years ago as a paper version at Heyne (Random House). This paper version is no longer available except from some online retailers. Now there is the e-book version, which was vigorously edited and provided with a much nicer cover. Now, of course, the background work is starting in earnest: contact literature bloggers, whether you might want to have a guest blog from me. Or whether they’d like to review the book. Of course the publisher will also be active here, but part of the work is mine. The increasing marketing work, which authors have to do, is stealing writing time. One of the reasons why I did not blog regularly any more. That will change now. Because everything is getting better. Or so we hope. A little more than a week ago, Andrea Diener came for a visit. When you reach my age, you can sometimes utter this dreaded sentence: “I already knew him/her when she they still went to school.” This is precisely and annoyingly true in Andrea’s case. I got to know Andrea shortly before her high school graduation. We were both active in the Irish culture and music scene in our favourite Irish pub, where I played music and she did Irish dancing. Well, quite some years have passed since then. Meanwhile, she is a journalist, writes great travel reports and maintains a regular podcast series, in which she interviews a wide variety of people. This time I was the lucky interviewee. We had a nice evening on my sofa, busy with questions and answers of which the questions were well versed and professional, while I pushed my answers through some nervous trepidation. Most interviews that I have given in the past, were online interviews. Journalists or freelance bloggers send a list of questions and you send back a list of answers. The charm of this procedure is: You have time to think about what you want to say and in precisely what manner you wish to phrase your (hopefully clever) answer. After the interview, Andrea and I rounded off the evening with a glass of one of my favourite whiskies Talisker – the beverage that made it into one of my very first short stories many, many years ago. And now you can listen to the podcast here. It is in German. The finalists for the Deutscher Phantastik Preis (German Award for Speculative Literature = the German “Hugo”) have been posted. Indirectly, I am among the finalists: I wrote one of the stories in “Exotische Welten” (Susanne & Sean O’Connell [Hg] – O’Connell Press), an anthology of short stories. My story combines steampunk elements with classical poetry. “Im Bilde (=In the picture)” (Mr Jenkins inherits a house in London with a large painting in his study. Through this painting he finds an access to a fabulous kingdom. Against all reason he is seized by a strong desire to go exploring…). The story was inspired by the Coleridge poem “Kubla Khan”. 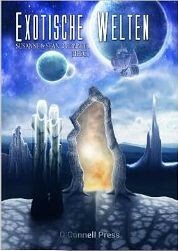 If you liked “Exotische Welten”, please vote for the collection . The final ballot runs from June 20 to July 19. 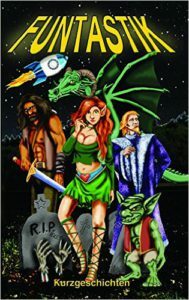 If you are not familiar with the anthology, then you can learn more about it here . We would be delighted if you liked our stories. 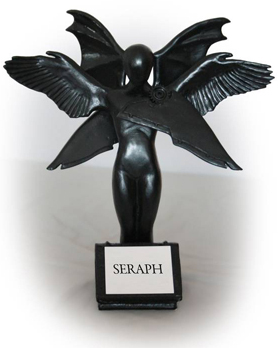 And we would all of us be very happy, if you expressed your opinion by voting for us. Thank you.